Jamestown (CSi) University of Jamestown President Robert Badal has announced that Dr. Bruce Chehroudi will join the University of Jamestown faculty as Professor of Mechanical Engineering and Chair of the Department of Engineering and Mathematics. Earlier this spring, the University of Jamestown announced an expansion to offer a mechanical engineering program in the fall of 2016. From a state and national perspective the timing is right to pursue development of the program due to high demand and interest from students. Dr. Chehroudi has extensive experience in higher education, most recently serving as the Director of Research, Development, & Education for Advanced Technology Consultants. His previous positions include Associate Professor and Director of the Mechanical Engineering Department at Kettering University, and Assistant Professor of Mechanical Engineering at the University of Illinois. 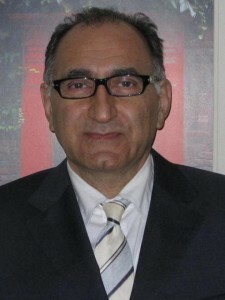 Dr. Chehroudi completed his Ph.D. in Mechanical and Aerospace Engineering from Southern Methodist University, where he earned an M.S. in Mechanical Engineering as well. He also holds an M.S. in Economics from the Swiss Finance Institute and an undergraduate degree in Mechanical Engineering from Sharif University of Science and Technology. “Dr. Cheroudi is a distinguished academic leader who will build an outstanding program that integrates engineering studies with our Liberal Arts tradition, ” Badal says. The University will be offering a Bachelor of Science degree in Mechanical Engineering and a supporting program, such as Design Engineering Technology. The university plans to seek specialized programmatic accreditation. Currently, there is space in the university’s Sorkness Center for offices, labs, and classrooms with plans for renovation and new construction being considered. Chehroudi will begin employment at University of Jamestown on September 14, 2015.